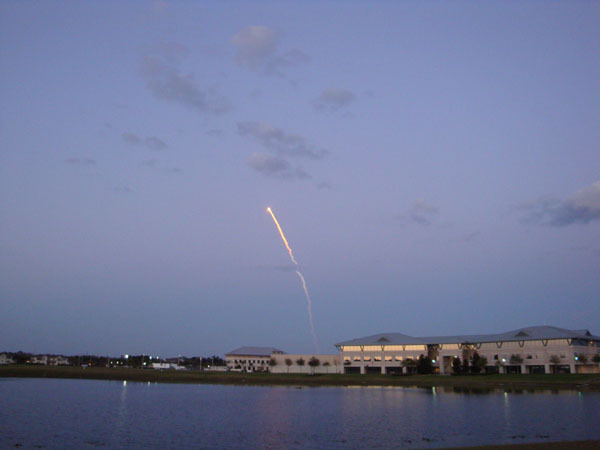 Rather than watching from the front step at the house, we went over to Wycliffe’s property and watched the launch last evening just after sunset. This was not a good evening to head over to the coast for the up-close and personal experience. I’m glad we wandered over and chose a place on the “other” side of Lake Tyndale so we could see it rise above the office building. As always, it was a very cool thing. 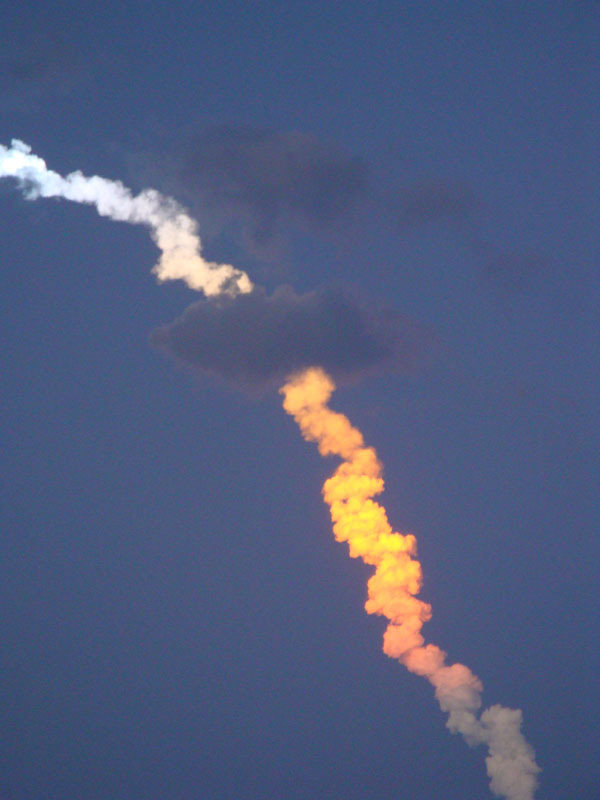 That’s one of the best shuttle shots I’ve seen from WMC.